In Peak Inequality: Britain’s Ticking Time Bomb Danny Dorling presents the evidence that in 2018 the growth in UK income inequality may have finally peaked. 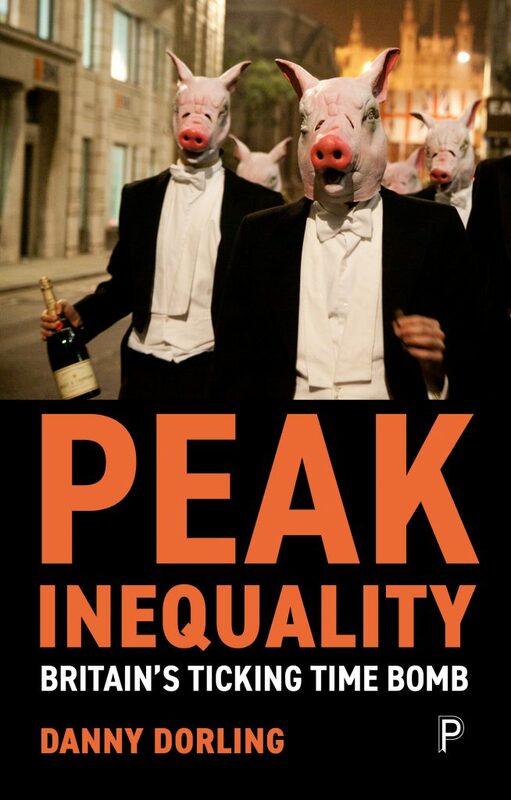 Inequality began growing in the 1970s and the damaging repercussions may continue long after the peak is passed. There will be speculation and a little futurology. Danny will be in conversation with Faiza Shaheen, director of the think tank CLASS and former Head of Inequality and Sustainable Development at Save the Children UK. Faiza recently explained that the rich, like viruses, also develop resistance, in their case to redistributive taxes. They use their wealth and power to carve out tax loopholes and lower tax rates. Their fortunes ballon. Inequality grows. In which case why should inequality peak now?